From the infinitely small to the infinitely large, from material to immaterial, from research to pure sensitivity, the artist and the scientist take us across space-time, the better to understand environnemental issues. 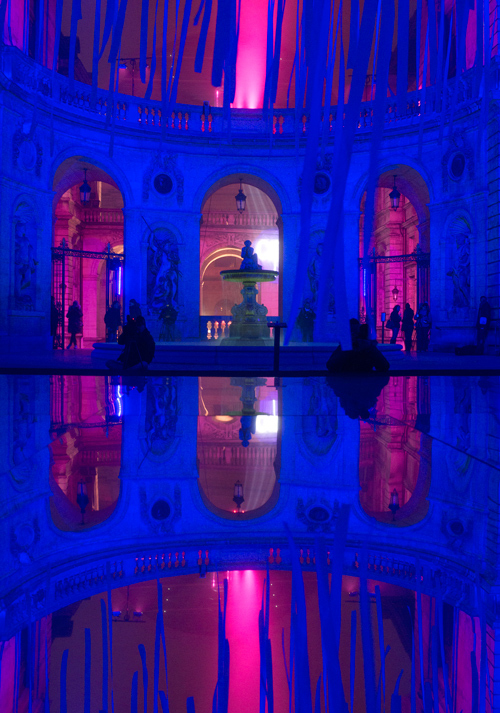 The installation reveals a monumental chandelier made from lame and luminous fabric, standing in the center of the courtyard, magnified by the mirror on the ground. 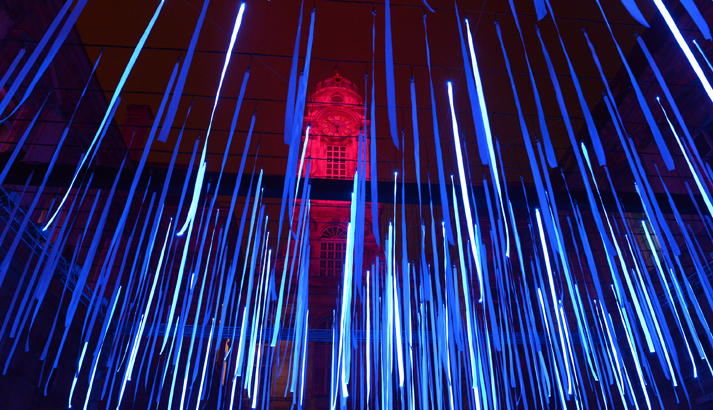 By mobilizing imagination, amazement and surprise, the installation reveals in an artistic way recent innovations and knowledge related to light. Find the keys to understanding them on the CNRS Platonium website. 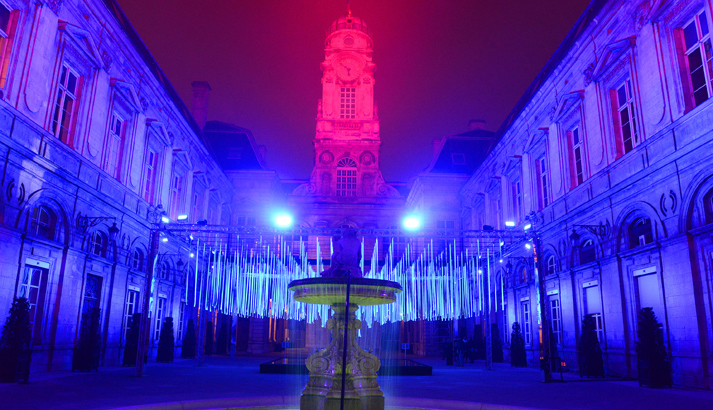 Project CNRS - International Year of Light. In partnership with University Claude Bernard Lyon 1 and the University of Lyon, with the participation of ILM, IRCELYON and CRAL. 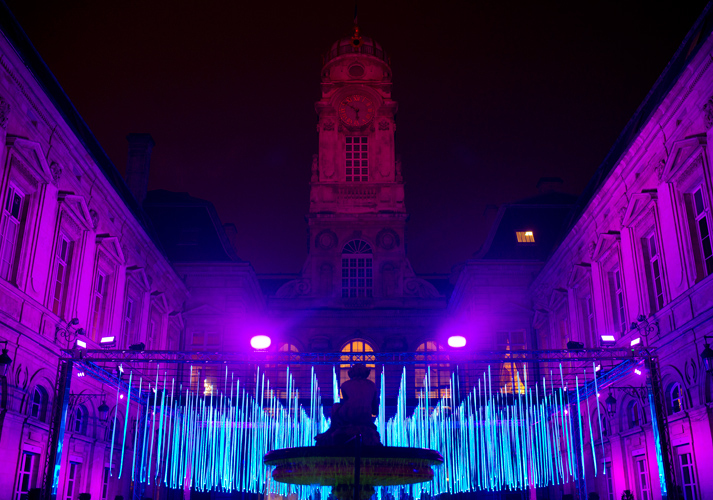 Projet CNRS - Année internationale de la lumière. En partenariat avec l’Université Claude Bernard Lyon 1 et l’Université de Lyon, avec la participation de l’ILM, de l'IRCELYON et du CRAL.